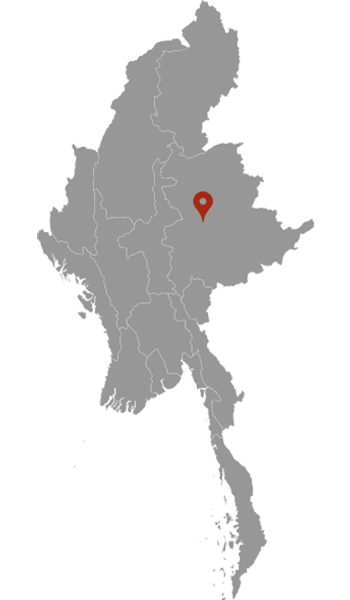 It is located in the west of the state in Taunggyi District. Pindaya is a small quiet town perched on the bank of the placid Botoloke Lake. Pindaya is famous for its limestone caves, its attractive lakeside setting, and the traditional Shan paper umbrellas that are manufactured here. Set deep in the hillsides, the caves contain some 8000 Buddhas of various sizes, which are made of white marble, bronze or plaster, and coated with gold leaf. At the entrance to the caves sits the 15 metre tall Shwe U Min Pagoda.